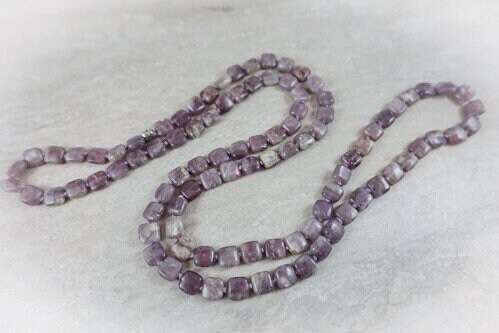 Lilac Jasper is a natural purple jasper. 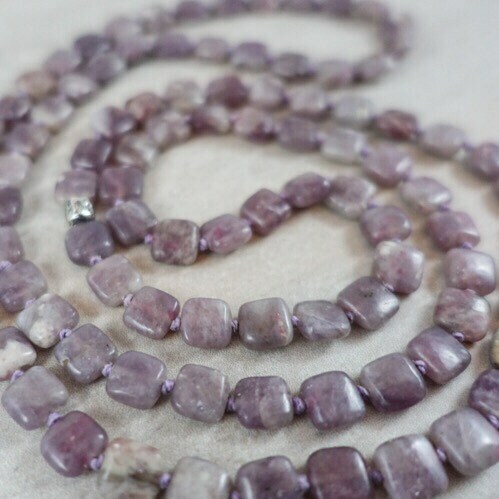 It’s soothing, calming stone that will help you if you are feeling anxious, stressed, or depressed. 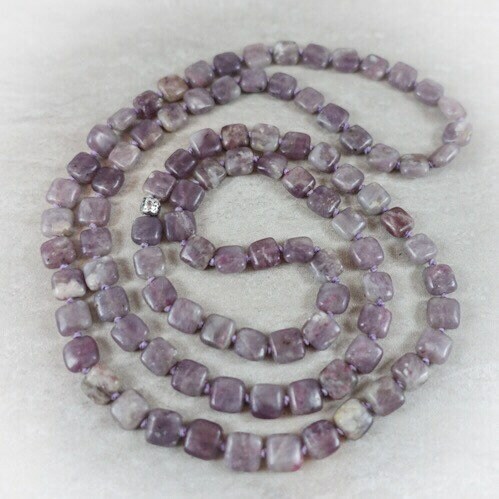 It is an excellent stress relief stone and it has a positive vibration that stimulates positive coincidence or synchronicity. 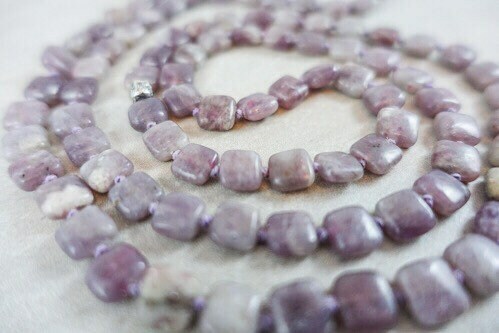 It brings emotional healing and helps you get deeper into meditation. 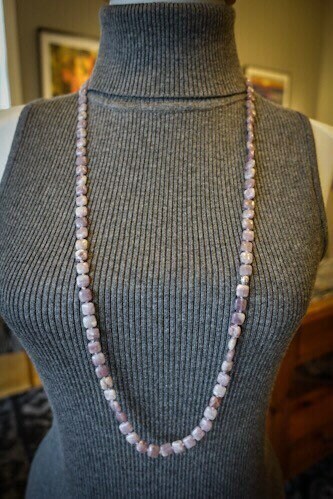 Our lilac jasper milestone necklace is hand-knotted with lavender Irish linen thread and finished with a rustic sterling silver bead. 34 inches in length.